It’s 5:30 p.m. You’re leaving work in downtown Boston. What’s the fastest way to get to Union Square in Somerville to catch dinner with a friend? Apparently, it’s your local Hubway bike. That’s according to the results of this year’s “Rush Hour Race,” anyway. Biking advocate Ken Carlson organized the third annual race that pits a Hubway rider, a commuter on her own bike, a T rider, and a driver against each other on a timed trip from downtown Boston. Tuesday’s event ended in Union Square. 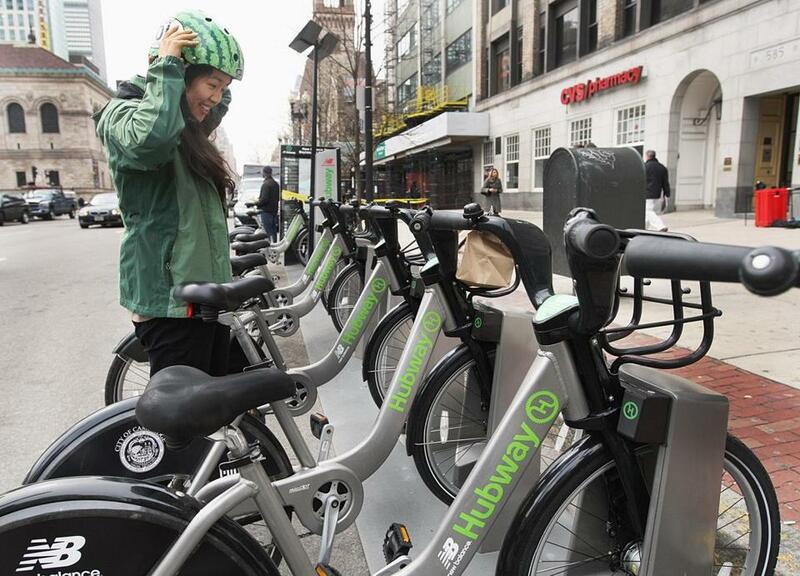 According to organizers’ calculations, the Hubway rider clocked in at 23 minutes 38 seconds; the rider on her own bike came in second at 25 minutes 47 seconds; and the driver beat the MBTA rider by mere seconds, both finishing in about 36 minutes. Kristjan Varnik, the winner, said he had an advantage. He usually rides a Hubway bike home, so he is familiar with the fastest routes out of downtown. “I found the streets where I could keep my momentum and avoid the red lights,” said Varnik. Ariel Horowitz, who rode a relative’s vintage hand-me-down bike in the race, admitted that she did not plan as well. “I caught a lot of lights,” she said. Perhaps the biggest surprise? The driver, Mark Gravallese, somehow beat the public transit rider, despite Boston’s notorious rush hour traffic. But some pointed out the fatal misstep by Jeremy Mendelson, the T rider: He used the Green Line, instead of the faster Red Line, after the T reported serious delays on that line. It meant he also had to catch a bus because the Green Line doesn’t go to Somerville’s Union Square. With the Somerville Bicycle Committee and the Boston Cyclists Union as the event’s main sponsors, it was no secret that the bikers were confident about winning. They’ve got a point: If you’ve ever tried to escape the financial district or the State House after work, it’s not hard to imagine that a bike would get through the traffic faster than a car. So what does the race tell us about traveling around Boston? “It just depends on what works for you,” said Mendelson, who bikes and takes the T regularly. After five decades, commuter rail is coming back to Brighton. 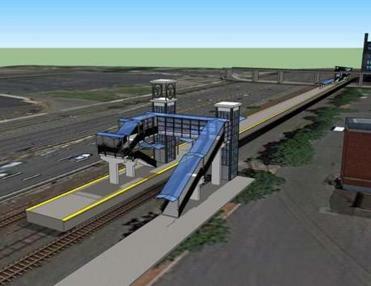 A rendering of the new commuter rail station in Brighton. The station being funded by New Balance is one step closer to finally opening, after Governor Charlie Baker and Transportation Secretary Stephanie Pollack joined company leaders and other public officials for a groundbreaking ceremony last week. On Tuesday, Pollack lauded the public-private partnership that will create the new stop, to be called Boston Landing, on the MBTA’s Framingham/Worcester Line. In a unique partnership with the MBTA, New Balance will pay for the $20 million station near its headquarters. Officials originally said the station would open last year, but the latest timetable has it opening in the fall of 2016. It will be next to New Balance’s $500 million development, which also includes the Boston Bruins’ new practice arena. Jim Davis, the chairman of the sports apparel and footwear company, called the station a community effort. “It’s designed to improve the quality of life of our neighbors, to improve the quality of life of our associates, and to ensure our company’s success and attract other like-minded institutions to Boston,” he said. More than five decades ago, three Allston-Brighton stations were closed to make way for the Massachusetts Turnpike. MBTA officials also hope the station can one day be a stop along a transit line for “diesel-multiple units.” Such self-propelled cars use rail tracks, but run much more frequently than commuter trains. Anabela Gomes, with the Brighton-Allston Improvement Association, said Boston Landing Station will give area residents more crucial transit options. The Green Line’s B Branch serves the area, but the subway service is often slow and congested. “I think the problem with this area is that you almost really do need to depend on the car,” she said. On Tuesday, Baker thanked his predecessor, Deval Patrick, and other elected officials for “carrying the ball” on the project for the first 10 years. “It’s now ours to carry forward,” he said. Summer construction season is just starting, and highway lane closures abound during the overnight hours in Greater Boston. The state Department of Transportation has a website showing which lanes will be closed in the upcoming week, so check out the Greater Boston traffic advisories at www.massdot.state.ma.us/highway, under the Traffic & Travel Resources link, and plan accordingly. Nicole Dungca can be reached at nicole.dungca@globe.com. Follow her on Twitter @ndungca.